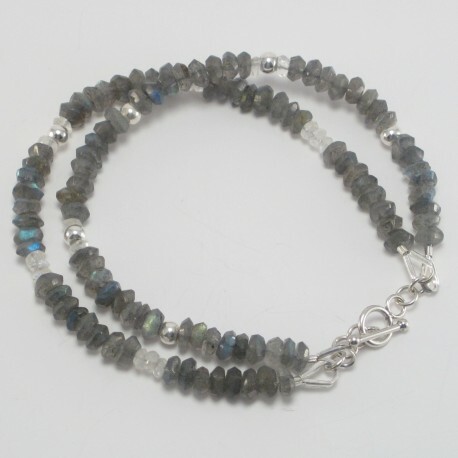 Beautiful shimmering Labradorite faceted beads are the star in this stunning bracelet. 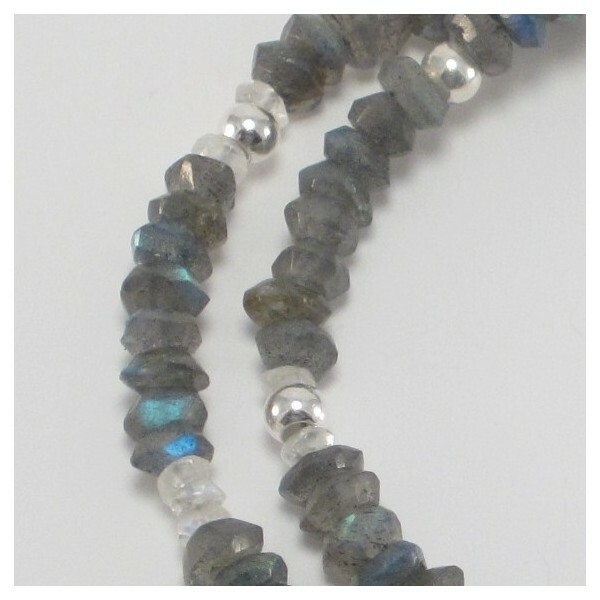 ﻿4-5mm Labradorite faceted round beads. Colour : silver, blue, grey.